Her collection, showcased at Fashion Week Brooklyn, featured indigenous Philippine fabrics. (SPOT.ph) It is fall in New York. 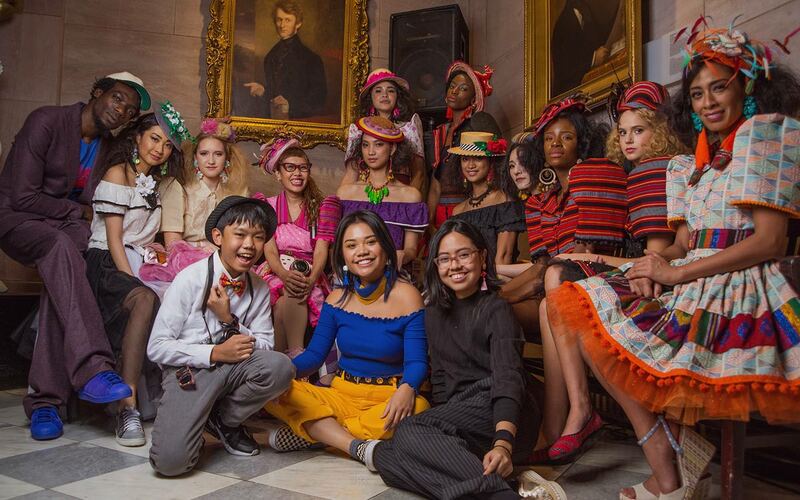 But instead of typical autumnal outfits making an appearance, the audience in front of Brooklyn’s Borough Hall is greeted with the sight of a modern Maria Clara. She wears a straw hat just like her male contemporaries would, except hers is etched with roses and angled with attitude. She dons the traditional black-and-white stripes, but this time they are tailored into lightweight pants in lieu of a floor-length skirt. This outfit was part of “Pinoy Pop Life,” a collection by Filipina designer Tracy Dizon, launched on October 13 at Fashion Week Brooklyn: Spring/Summer Collections 2019 in New York. A pop culture take on Philippine fashion doesn’t sound like something that hasn’t been done before. Local brands have plastered aviators on Jose Rizal, ikat fabrics on jumpers, and jeepneys on just about everything. But what makes Tracy Dizon’s show stand out? It starts with the designer herself. Dizon specializes in fashion and hat design, but her background includes a multi-disciplinary exposure to the industry, having taken on roles ranging from a costume designer, stylist, illustrator, and even teacher. “Pinoy Pop Life” is an expression of all of these. 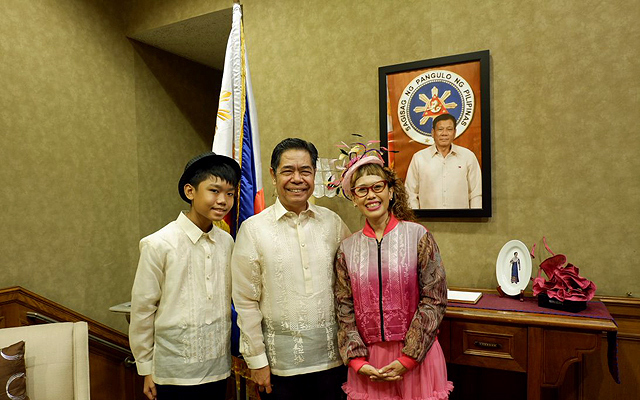 While she was studying Clothing Technology at the University of the Philippines – Diliman, Dizon was fascinated by textiles from different regions of the Philippines. 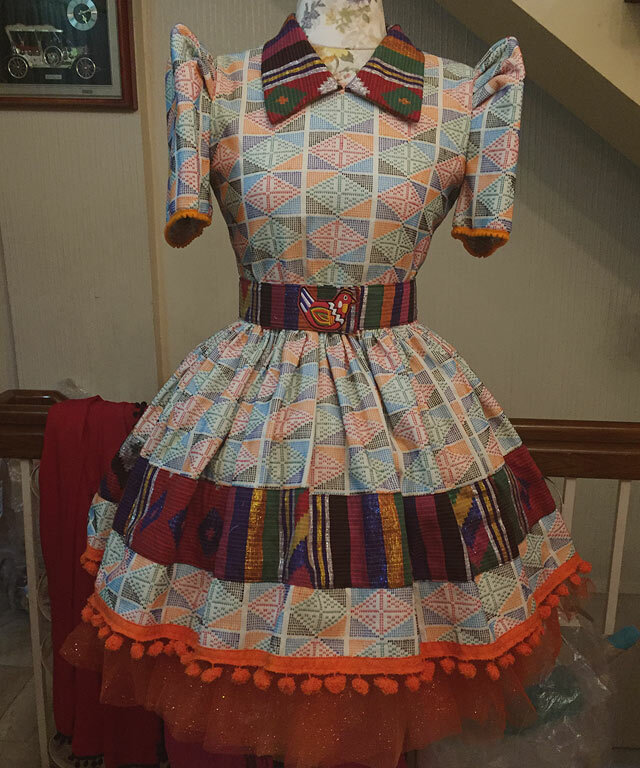 Eventually, she created a baby doll dress in Cordillera fabrics, a sarimanok-inspired dress featuring materials from the Tausug and Yakan peoples, and a maxi skirt made from Ilocos’ inabel. She also expounds on the value of fabric use, which are mostly handwoven manually by local artisans. “Imagine: The Yakan weaver will take three months to finish such fabrics? It’s beautiful! Especially nowadays, [when] we are struggling to survive the fast-fashion trend, I want to put something out there that will remind consumers [of] the value of fashion and clothing,” Dizon narrates. Her efforts haven’t gone unnoticed. “I am so touched that after my show, I have been seeing local tribe Facebook Pages sharing my collection and that I made them proud. There’s nothing more rewarding than that,” she beams with pride. Dizon’s drive is what got her a slot in Fashion Week Brooklyn. For the past 12 years, she has regularly joined fashion competitions. You might recall her as a contestant for the show Project Runway Philippines in 2009, but it was her stint in Solis Magazine’s “Fashion Designer Competition” in September—where she ended up placing third—that paved the way for her New York show—and it wasn’t easy. “[My team and I were] working during the height of typhoon season in Manila. I commend my staff [for] pulling [through] floods just to finish one look. The editor-in-chief of Solis Magazine even told me that the first and second placers weren’t able to do the show this season, because of the short production time, which I totally understand,” Dizon recalls. Dizon and her team’s resourcefulness is perhaps what makes “Pinoy Pop Life” so Filipino. In an online post, Dizon laments how she wanted to buy “top class—fabrics,” but it was too expensive. As an alternative, they created a collection that combined indigenous Philippine fabrics with ready-made and familiar materials. 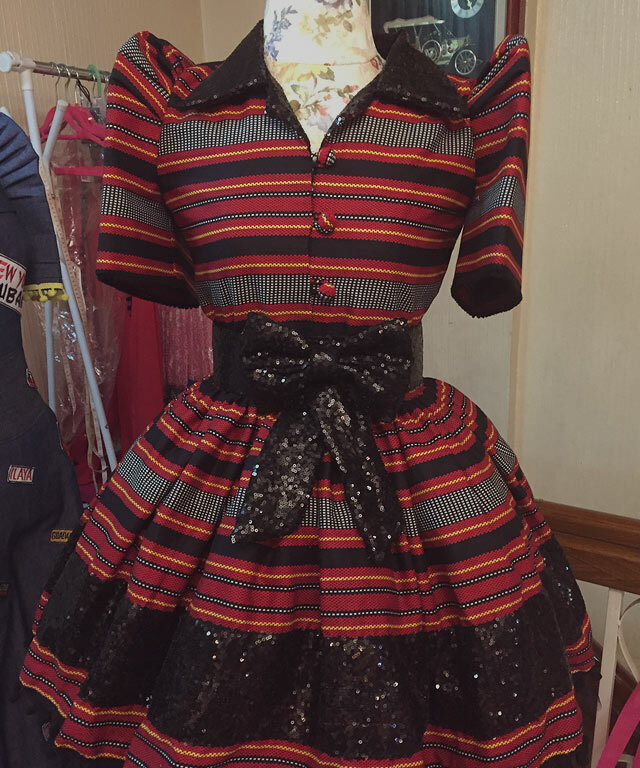 This familiarity is what you’d see in a terno made with denim, embroidery inspired by jeepney stickers, and a sinamay hat shaped like sapin-sapin. The designs are reflections of Dizon’s life in Manila. She recalls how the traditional rice cake was a childhood favorite, especially since her mother would often bring it home from work. One of her floral hats call to mind fallen bougainvillea in summer. The jeepney references aren’t just standard Philippine pop symbols, but mementos of when Dizon had to set aside P20 fare to get home from school. 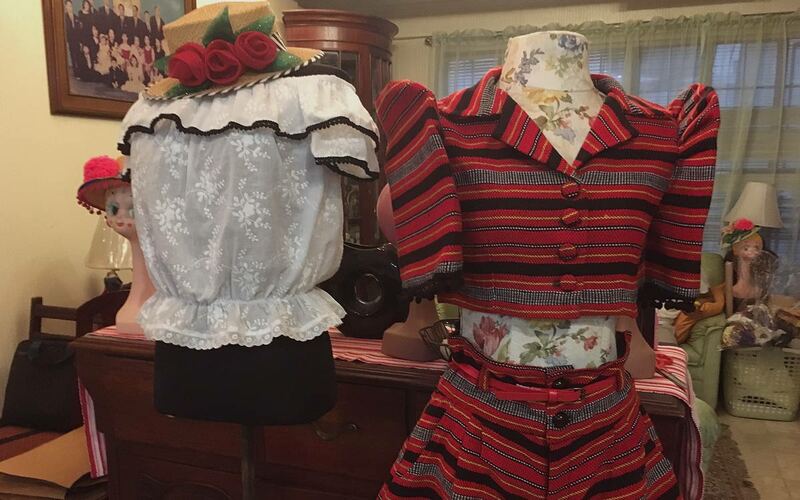 She was a part-time student in college, then a working single mother, and—finally—a fundraiser for her own collection. Self-doubt was only one of the many challenges that Dizon has had to hurdle in her journey as a designer, who never gave up in the face of failure back home. “I [could] never even book a show in Manila,” Dizon wrote in a Facebook post. Now, she is participating for the second time in Fashion Week Brooklyn. Perhaps today’s Maria Clara is more forward-thinking than ever.